Automotive Safety Engineering's (ASE) qualifications, test facilities, and practices meet or exceed our client's requirements and legislated Standards. 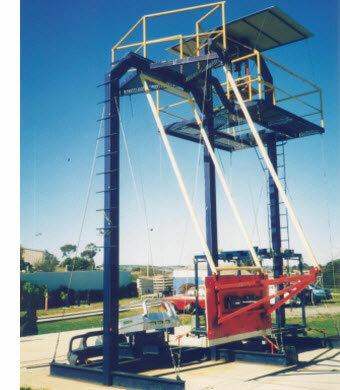 We have been conducting testing for clients since 1994, and have completed more than 2200 tests as at June 2011. Our Pendulum Test Facility, designed and built to Society of Automotive Engineers (SAE) standards, is another of ASE's achievements in cost-effective testing techniques. As the rig components are reusable, only the component being tested is damaged, which leads to cost-effective testing as late model motor vehicles are not used and damaged during the testing process. 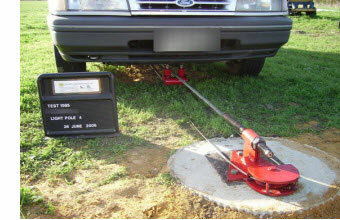 The pendulum mass is adjustable to represent the mass of the vehicle being tested and therefore has a wide range of applications. ASE's Pendulum Test Facility is ideal for the aftermarket or low volume manufacturer with a budget that does not extend to crash testing new motor vehicles. 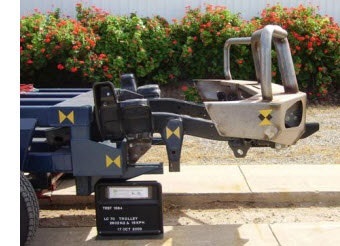 It is also used by larger companies to gain an indication of concepts and design capabilities before embarking on full-scale vehicle impact tests, and allows design engineers to carry out low-cost multiple tests to prove the validity of their design. To find out how we can assist you or your business complete the testing activities you require please contact ASE.